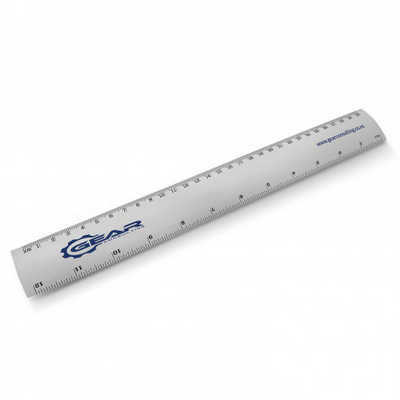 Metal ruler with graduations in both centimetres and inches. It laser engraves to an oxidised white colour. Colours: Silver. Dimension: W 38mm x L 315mm x 5mm. Print Description: 65mm x 12mm. Print Type: Pad Print. Packing: Loose packed. Price includes : 1 Colour 1 Position Print Setup is included.